12 Piece Nail Art Stamp Kit Only $9.99! Down From $16.99! You are here: Home / Great Deals / 12 Piece Nail Art Stamp Kit Only $9.99! Down From $16.99! 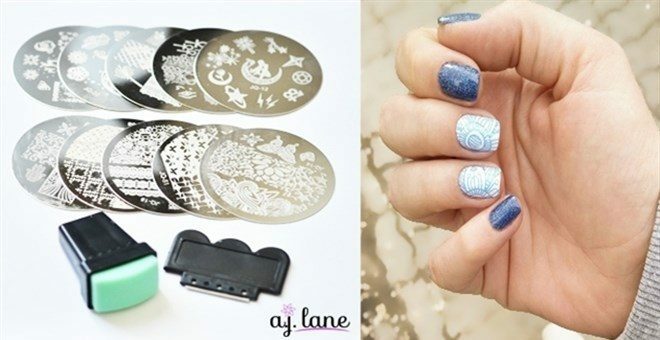 Jane has this 12 Piece Nail Art Stamp Kit on sale for $9.99 (Reg. $16.99)! Nail stamping art is getting more popular every day! With this 12 piece nail stamping kit you can easily stamp any type of detailed image on your nails. You can do it by yourself, no need to visit a nail salon.